Anyway, here's the majority of my collection, sorry the picture's so small! I've hit a bit of rough patch lately and need some money. My boyfriend was mentioning the other day about how I'll be loaded when I sell my Snivys, so I'm hoping he's at least partially right. Closeups, prices, and other info can be found under the cut. Please read carefully. BW5 Dragon Blade/Dragon Blast Sales Reminder! This is the first, last, and only reminder for my BW5 Japanese card sales! I still have single cards and theme decks from the set for very cheap prices! I've got 3 EX's from the set as well! Check it out! XD Click the image or fake cut. Thanks guys! Have/hope you had a humorous April Fools Day! Hi there! I was wondering if anyone has either of these guys up for sale? I don't care too much about tags or slight damages, and I live in the US if that means anything. I know Squirtle is still up at Sunyshore, but I kind of want to see if I could get them together from the same person (save on shipping and whatnot). They don't have to come from the same person, of course! Because: the model train hobby is one of the most popular, most accepted, most common toy collecting hobbies in the entire world. Model train enthusiasts are welcomed by everyone for their originally children's toy-based hobby. There are entire museums and entire stores in regular malls dedicated just to model trains! The biggest model train display in the entire world, Miniatur Wunderland, takes up an entire building, miles of track and was originally started by a pair of twins just enjoying their hobby. LOVE, EMBRACE, CHERISH AND ENJOY YOUR HOBBY!! Never allow anyone, especially yourself, to make you feel bad about what you love to do here on PKMNcollectors. Whether you collect lightly, or with extreme fervor, as long as you are enjoying yourself, love to admire your collection, and perhaps most importantly, have made friends you enjoy talking to about your hobby, remember what you do is part of a legitimate, recognized hobby - that of toy collecting! 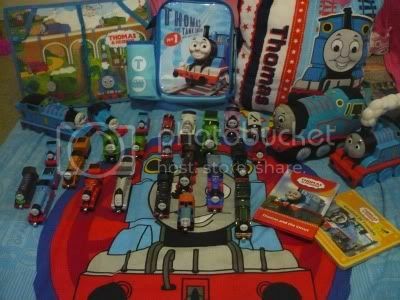 If parents or friends or whoever try to make you feel bad, or ashamed, because you collect toys, just ask them if they'd prefer you switch to model trains -- a toy hobby which costs ten times more than Pokemon toys do, and takes up entire rooms which become hard to walk through, as you can't stack model trains in a hammock or on a shelf like you can with Pokemon! "Gin, you take this way too seriously." DUH!!! Of course I do -- because too many of our members, our FRIENDS, are bullied, because of their hobby which makes them happy and entertained. This post is a response to all the stories I have read from YOU GUYS about how ashamed you are made to feel. There is absolutely NO REASON to make you feel that way. And remember -- April Fool's jokes are only okay here as long as they 1) still follow the rules 2) including the one about not being rude to other members. Have a good day, comrades! 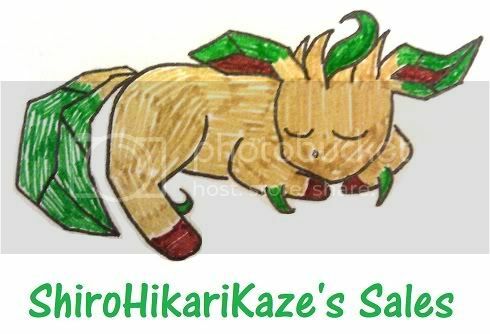 april pokepin commissions and other sales! That means it's time for another round of Poképin Commissions! Again, I will have EIGHT available slots. There are 6 slots still open. If you are interested in getting custom pins or would like to see examples of my work, click on the banner directly below. For all quotes, please post on the dedicated page. For other inquiries, make a comment in this post. 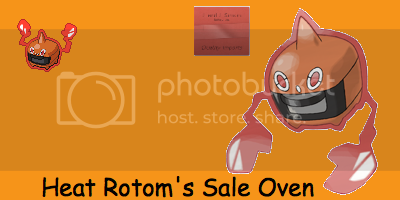 I added a few Pokédolls and cleaned up my sales a bit. I still have a ton of Japanese BW5 cards, including a Registeel EX, and Dragon Selection cards as well... and BW4... and BW3... and BW2... XD. Please help me get rid of them to make room for new stuff! There's also Japanese TCG accessories. I also added a lot of English RH cards and Japanese promos. So it's almost been 3 months since my last collection update. Sorry. I was busy expanding my mind. Banpresto Pickups open for April! Im expecting Deino to be very very popular so get yours quick. There are limited numbers! Unfortunately we did not win this auction,the user was blacklisted on Noppin and SMJ didn't process my deposit until about 4 hours ago. Thankfully I am able to use Noppin on this auction :3 and we still have 1 day and 12 hours to get our bids in. It's been forever since I've posted, so I thought I'd get some pictures and do a collection update today! Since there've been quite a few new members and I'm quiet anyway, I'll go ahead and re-introduce myself, too. Hello! I'm a 22-year-old Pokemon fan, and have been one since the first gen. Blaziken is my favorite Pokemon ever, and I love plushies in general! I've been a member of the comm since Aug of '10. I guess picture time now? My Teeny Tiny 'Tini Collection! Obviously, I need a better place to display these lil' guys! I'm working on getting some new shelves to mount on the wall right now. Hopefully they'll be up soon! I'm looking to trade, since tomorrow i'm going to the post office. Collection Update & More~ Sales Update~! I know I just posted with the big box of stuff I got from midnitesilven and so in order to add more stuff to my shelf, I did an entire shelf makeover (I know it was pretty messy last time ^^;;). 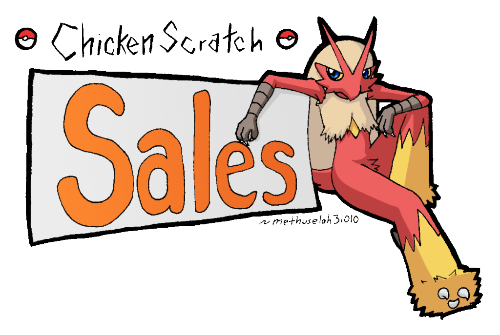 While re-arranging all my items, I did a thorough spring cleaning and have updated my sales with Pokedolls, kids, and more~! Take a look! Hello all. 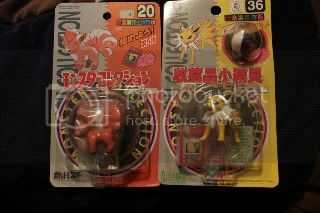 As I have posted before, I enjoy collecting the Pokemon tomy figures from 1999. I have quite a few in my collection, and most of them look relatively similar. However, today I recently received a package from a fellow member here containing a Tomy Vulpix MIP. I Received it in good condition and I am happy with it. After observing it more, I realized that the text on the vulpix figure seems to be a different language than all my other ones. I checked the Bulbapedia guide and Vulpix as well as one or two others seems to be the only ones that stand out in such a way. Are they in different languages? I am aware that the Japanese language has several different types of alphabet. Are they variations of that? shameless wants list plug is in order. I added a few things. thanks for taking a look! I'm due for a collection update, but I'm planning something with another member here, So I'm holding off to see if that goes through or not. Have a pleasant day, collectors! Anywho! I just thought I'd post up my Scraggy/Scrafty collection so far. They are by far my favorite Pokemon and I may be a little obsessed with collecting their merchandise. I'm currently staying at my girlfriend's grandparents house so I don't have my entire collection with me but I just couldn't wait to post up what I do have.